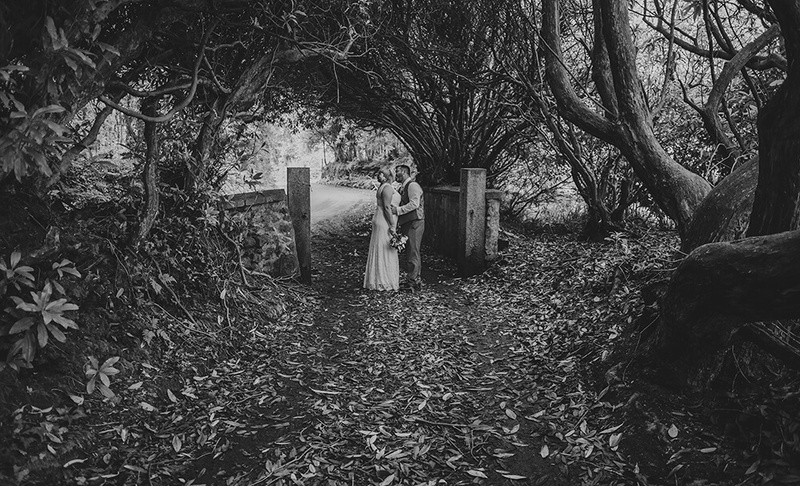 Knightor is a wedding venue in St Austell that I have had the pleasure of shooting at on several occasions and one that I love to go back to again and again. 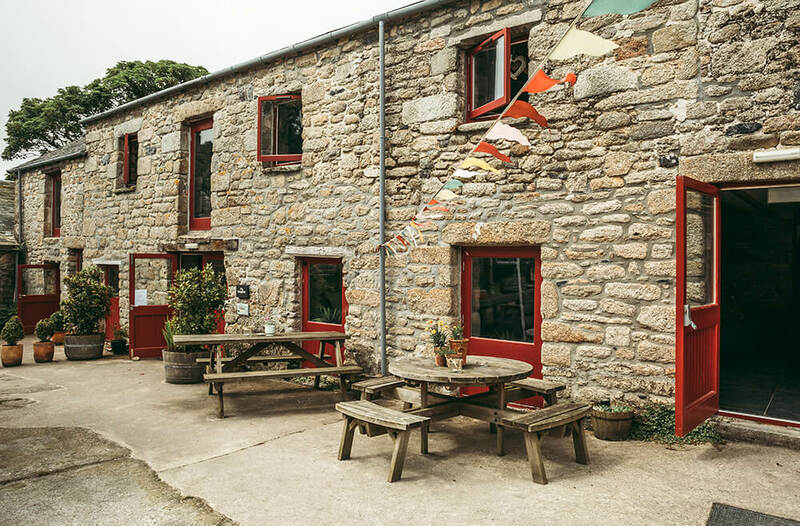 Set in a beautiful courtyard of historic granite buildings and enclosed by mature Cornish hedges, the boutique winery sits in the small, rural village of Trethurgy, about two miles northeast of St Austell and is just a stone’s throw away from one of the region’s most popular tourist attractions, The Eden Project. Knightor’s history dates back as far as 1305, when the settlement named “Creghtyer” was first recorded. In 1699 Joel Gascoyne’s map of Cornwall records it as Nighter, and depicts an important house with what appears to be two ranges and a tower indicative of a grand building. The site’s name was later changed to Knightor in 1842. Records show that the grand house was demolished and rebuilt in the mid to late 19th century but the remains of windows, a date stone of 1623 and other masonry of a similar date are incorporated into the main barn complex; a fine example of typical late 18th or early 19th century multi-purpose farm building incorporating both a shippon and a threshing barn. Today Knightor makes premium quality, limited production wines from grapes grown in English vineyards and their own vines at Portscatho and Seaton on the south Cornish coast. 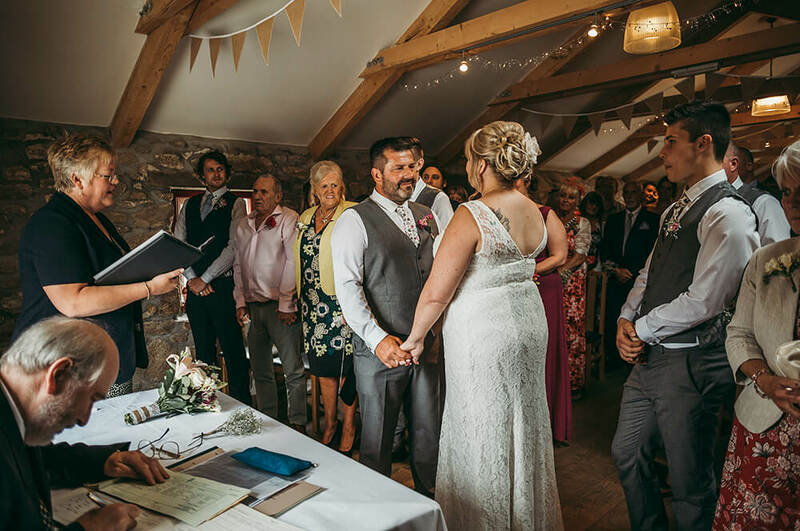 Licenced for civil ceremonies in St Austell and available for exclusive hire, Knightor is a popular choice of wedding venue in Cornwall and can cater for medium sized parties of approximately 60 guests. 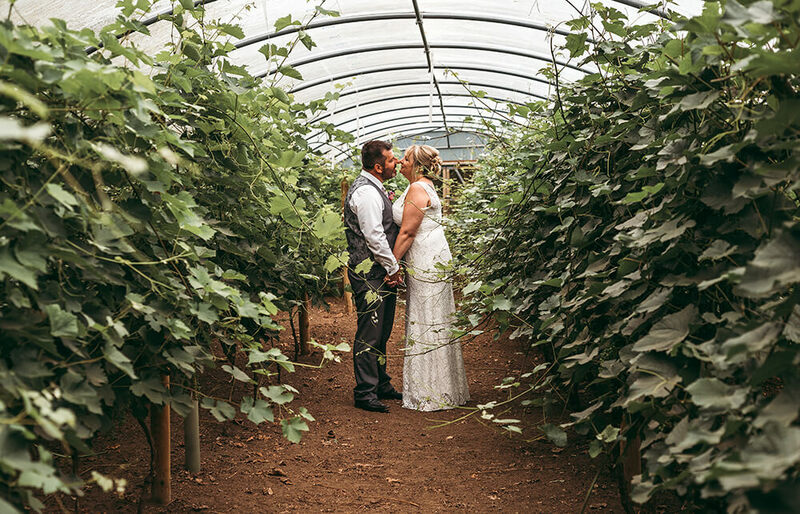 Its picturesque location and history make a perfect back drop for your country wedding with ample opportunity of photographs within the grounds, including inside the vineyard itself. Ceremonies can be held either inside or outside in the grounds of the winery in the recently erected arbour positioned in front of the lake. 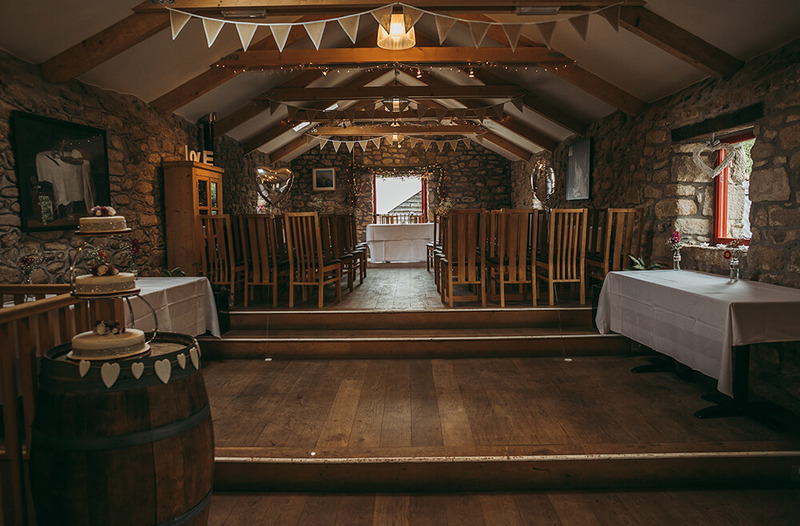 Knightor is known for their beautiful wedding decoration both inside and out. 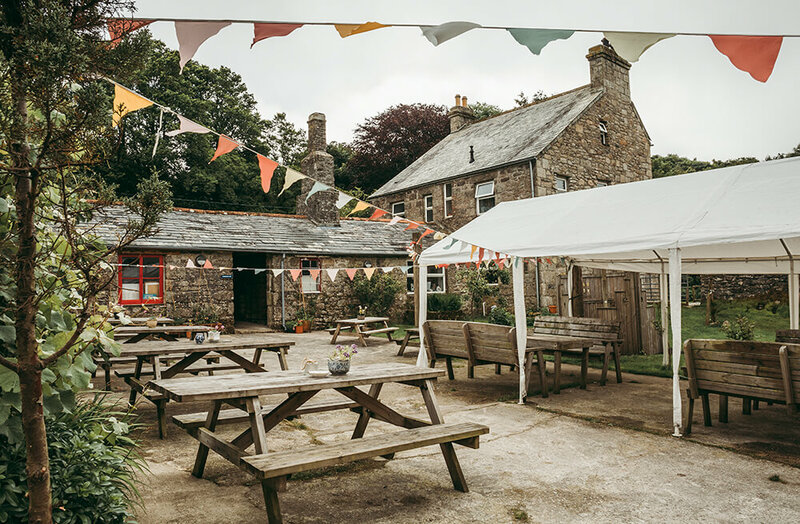 If you decide to take your vows outside, you can expect milk churns filled with wild flowers to be dotted around and guests to be seated on hay bales, offering a truly rustic experience for your Cornish wedding. 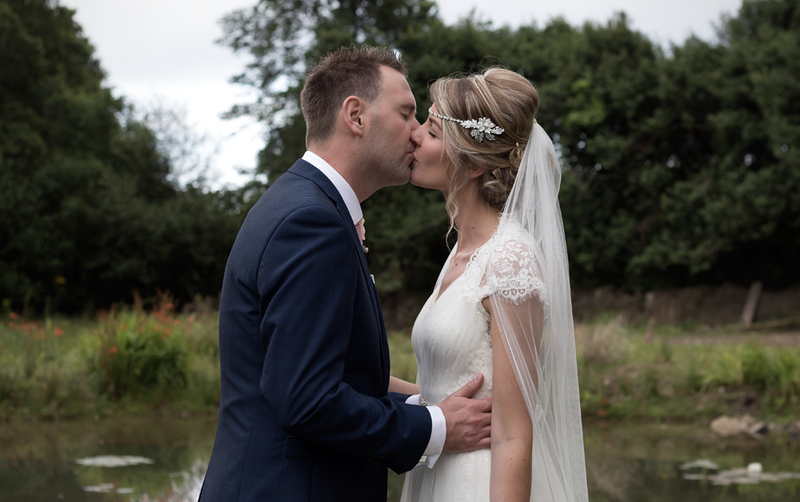 To view a wedding that I have recently photographed at Knightor Winery, please take a look here. 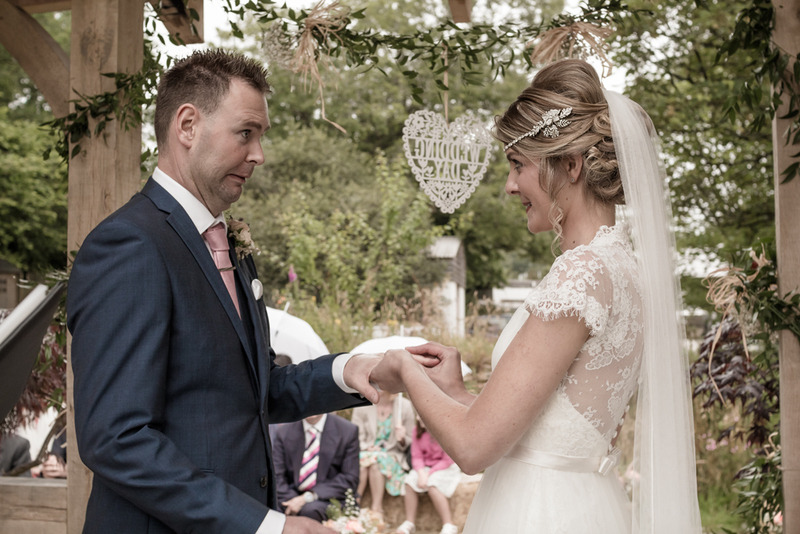 If you are getting married at Knightor Winery in St Austell, Cornwall and are looking for a wedding photographer to capture your special day, please contact me to find out about the competitive rates I offer for weddings within a 5 mile radius of St Austell.